The second entry on my trip to Italy shall describe il brutto (the bad) parts of my trip. This entry should be short, since most of my experiences there were quite good. 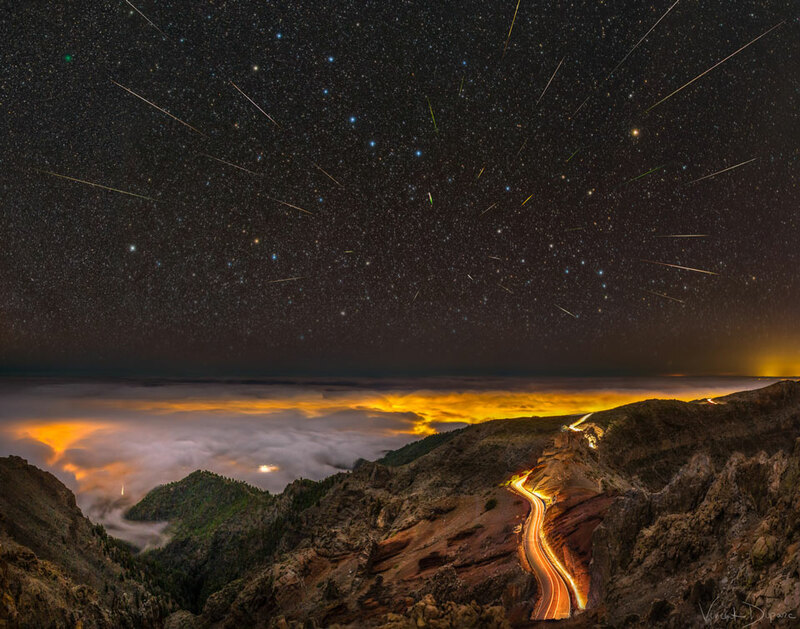 Look closely at this image. You will notice a skull staring back at you. 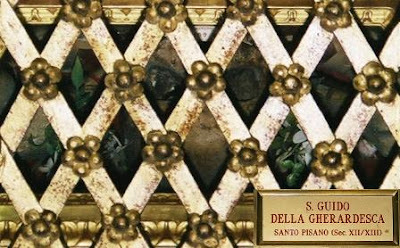 It apparently belongs to Saint Guido, and I photographed it in the Cathedral in Pisa. I realize that my aversion to parts of dead bodies is probably the result of Western culture not showing appropriate respect to the reality of death; I am working on that. 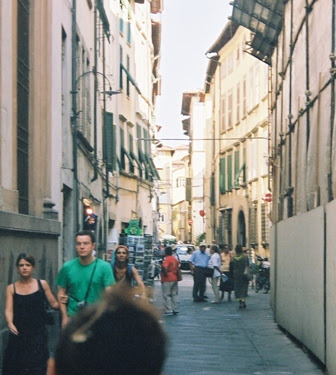 One of the annoying features of ancient city centers is the narrowness of the “streets.” My experience leads me to call something this narrow an alley. They are easily passable on foot, but trying to drive on them in an automobile, like the one you can see behind the crowd of people in this photograph, is frustrating at best. 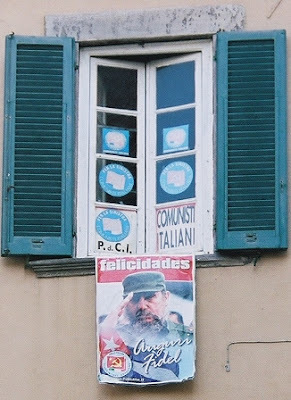 One piazza we visited in Lucca was overlooked by an Italian communist organization, which proudly displayed a photograph of Fidel Castro. By placing this photograph in this section, I am making a value judgement. Communism, at least in the form practiced by Castro and his Soviet supporters, is an ineffective and injurious system of government. Even Biblical heroes sometimes do bad things. The most famous example is probably David’s affair with Bathsheba and its aftermath. The example above shows Noah after the ark has landed; he is drunk. 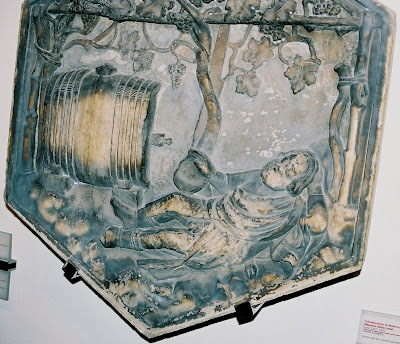 The keg of wine that he made and drank is featured prominently in the panel. 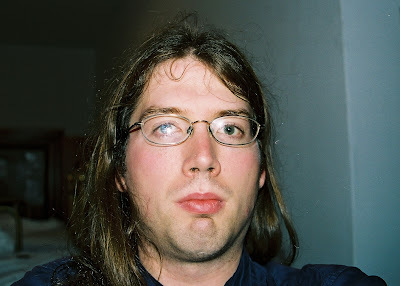 This self-portrait is not a good photograph of me. It was the last photograph I took in Italy, and it shows me shortly before going to sleep before the early morning bus ride back to Pisa. I was exhausted but very glad to have this experience. My trip back home was successful, but the legs taking me from Pisa to London were rather stressful. First, my flight left Pisa at 6:55 AM which meant that I had to arrive when the airport opened at 5:30 AM, which meant that I had to catch a bus from Florence at 4:30 AM. I cannot remember if I set my alarm for 2 or 3 AM; in either case, it woke me up, and I showered, changed, and walked to the bus station. After a brief bit of frustration during which the woman selling tickets realized that I did not speak Italian, I had a quite bus ride to the Pisa airport. In the check-in line, a woman began addressing me in Italian; again, I was flattered to know that I blended in so well that she did not realize I was a foreigner. The flight from Pisa to London was quick and uneventful, but I knew I was about to face an error in my planning. When I had scheduled my flights, I had left only five hours between the scheduled landing of my flight from Pisa and the scheduled departure of my flight from London. However, I had to transfer airports again; the bus ride from Stansted to Gatwick was scheduled for 3 hours and 30 minutes, which left only 90 minutes to spare when I arrived at Gatwick. Any delay in my Pisa to London flight, the bus ride, or the security procedures at Gatwick could cost me a flight home. My fears were compounded by the tightened security that I knew would be in place following the terrorist plot uncovered six weeks earlier. Much to my relief, my first flight and bus were on schedule, and I was able to pass through security quickly. As I was walking to the gate, a fellow American passenger informed me that the gate was “closing,” so we both starting running through the airport to catch our flight. When we arrived at the gate, we found a line of approximately 50 to 100 people still waiting. Our running was unnecessary; apparently “closing” means something different in British airports than American ones. The line split in two at the podum where we showed our boarding passes and ID to the security personell. I was in my half of the line for a few minutes before I realized why the line split. Due to the increased security, almost every passenger was given a pat search before boarding. One line was all men; the other was all women, so that passengers could be searched by members of their own gender. Ironically, in protecting against a terrorist attack, the British enforced a social separation that was probably a small part of the transformed world the terrorist were seeking to achieve by the attack.